A new home in Arizona may or may not mean that Sarah Palin is running for president in 2012. Perhaps she’s just tired of hibernating in Wasilla. But one thing is certain: it is a perfect purchase if Palin is looking for a way to broaden her future political options. As a conservative woman with a rugged frontier persona and possible presidential ambitions, she would be hard pressed to find a better second home than the Grand Canyon State. Palin will find Arizona receptive to her brand of conservatism: a take-no-prisoners, make-no-compromises patriotism that stresses individualism. After all, we’re talking about the state of Barry Goldwater, the quintessential western conservative politician, an icon of straight talking, shoot-from-the-hip populism (I imagine he would have liked Palin’s famous line about pit bulls and lipstick). But Tea Party politics aren’t the only reason Arizona is a natural fit for Palin: the state also has a long history of embracing strong-willed female politicians from both sides of the aisle. Arizona’s tradition of female leaders dates back to its pioneering days, when ideals of feminine domesticity prevailed in much of the rest of the nation and marked suffragists as outliers. In Arizona, the frontier’s demands undermined such strict gender roles. Tales of Arizona women guarding their homes with rifles and bearing their children without the assistance of doctors or midwives contributed to widespread belief in female strength and self-sufficiency. Building on this image, an eclectic mix of socialists, reformers, and Mormon wives worked together to win a popular vote on female suffrage just a few months after Arizona became a state in 1912, a full eight years before women’s voting rights went national. Once they secured the vote, Arizona women quickly entered Democratic politics and the state legislature, even though the new state constitution technically limited office-holding to men. Democratic women were winning statewide office in the mid-1920s. In 1932, Arizona voters elected Isabella Greenway to the U.S. House of Representatives, making her one of only a small handful of Congresswomen. She won reelection two years later. In 1950, Ana Frohmiller became the first Arizona woman to be nominated for governor, winning the Democratic nod on the strength of her strict fiscal discipline during 13 years as state auditor (Palin would have loved her ability to say ‘no’ to spending requests). Unfortunately for Frohmiller but fortunately for Palin, 1950 also marked the beginning of the rise of the conservative Republican Party in Arizona. Frohmiller lost the election by less than 3,000 votes to Republican Howard Pyle, whose campaign was managed by Goldwater. As the state shifted right, conservative and Republican women continued the pattern of political involvement begun by their liberal counterparts, building on an established reputation of independence, experience, and tenacity while simultaneously emphasizing family values and education. As a result, Arizona has been home to more female governors than any other state: two from each party. Twice, Arizona has turned to women – Democrat Rose Mofford in 1988 and Republican Jane Hull in 1997 – to lead the state after a man resigned in disgrace, tasking them with cleaning up the capitol. In 1998, not only did Hull win reelection, but women took each of the five top elected offices in the state. Among that class of ‘98 was Janet Napolitano, a former United States District Attorney who was elected state attorney general. In 2002 and again in 2006 she won the governor’s office as a law-and-order Democrat in a now very conservative state. When Napolitano left office to become the Secretary of Homeland Security, Republican Jan Brewer inherited the top post, becoming Arizona’s third consecutive female governor. Brewer’s candidacy for reelection in 2010 was initially met with skepticism and a host of potential primary challengers – until she proved her toughness to many Arizonans by signing controversial immigration bill SR 1070 (which Palin heartily endorsed). With one swoop of the pen, she cleared the field for her reelection in 2010, a prospect that had once seemed remote. Assuming she finishes out her term in 2015, women will have occupied the governor’s seat for at least 17 consecutive years. Arizona women have prevailed not only in the offices of the executive branch. In 1965, Arizona’s Lorna Lockwood became the first woman in the nation to serve as Chief Justice of a state supreme court. When Sandra Day O’Connor graduated from Stanford Law School in 1952, she found the doors of private law practices closed to her because of her gender, yet she was welcomed in each branch of Arizona government. She served as assistant attorney general, became the nation’s first female majority leader in the Arizona state senate, and then was appointed a state appeals court judge. It was no coincidence that when President Reagan searched for a conservative woman qualified for the Supreme Court, he found one in Arizona. Yet despite the success of female politicians in Arizona, the state has never elected a female senator, which poses an intriguing possibility for Palin. Sen. Jon Kyl’s seat is open in 2012 and Sen. John McCain will be 80 when his current term ends in 2016. 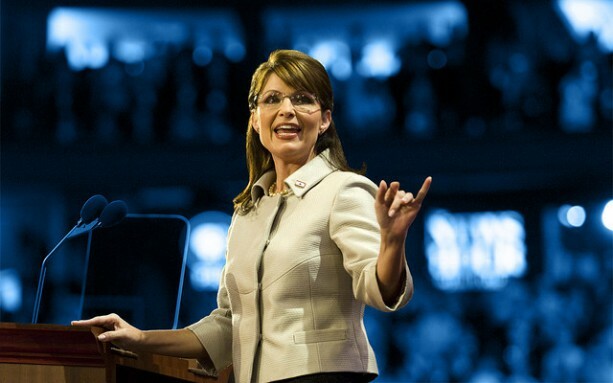 Arizona offers Palin a clearer path to the U.S. Senate than any state in the country. Even on purely geographic grounds, a home in Arizona would provide an ideal base. Whether or not all politics is local, presidential politics tends to be regional. In the modern Republican Party, the southwest is the key region. Six of the eight Republican presidential nominees over the last fifty years have come from the area between Texas and Southern California. No current Republican presidential aspirant can claim the Southwest as his or her home turf. So Palin’s new home will shift her base of national support from the edge of the nation to a focal point of Republican political power. It puts her within easy striking distance of the wealth of California and Texas. She can draw on a ready supply of local donors in the rapidly growing Phoenix area, many of whom already see her as the better half of the 2008 McCain-Palin ticket. And she can do it all in a state where many voters share her political values and have a track record of backing strong female leaders. In trading the 49th state for the 48th, she can make all these gains without sacrificing her Mama Grizzly brand, trading one set of frontier imagery for another. Whatever her future political goals, Arizona is the place for Sarah Palin. Jason LaBau, the Hearst Postdoctoral Fellow at the Huntington-USC Institute on California and the West, is currently writing Phoenix Rising: Arizona and the Enduring Divisions of Modern Conservatism.